GymPact now has over 46,000 signups and are launched internationally. 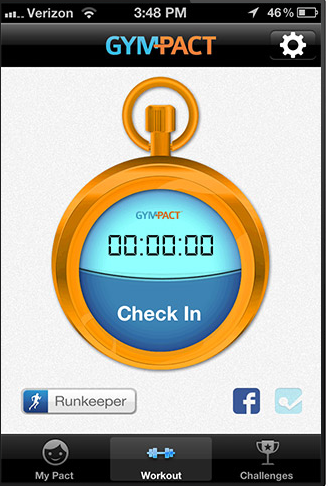 GymPact is launching a very cool new integration with RunKeeper on Aug 27th. Now, users can make a Pact to exercise and complete it by running, biking or walking for 30 minutes as well as going to the gym. You get paid for meeting your Pact, paid for by non-exercisers! We're giving the first 1000 people that do a RunKeeper workout with GymPact an extra $5 in rewards, and we'd love to give some of your readers special early access. Do you think this might be interesting for them? I'm going got go with "Yes." Because my readers love early access to everything. Who doesn't? This is one of those moments where Sept 12 can't come soon enough - so I can switch back to iPhone. Click (here) to get more details. 0 Response to "GympPact & RunKeeper Collaboration - 8/27"